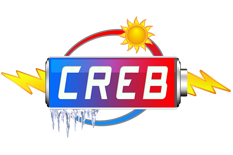 The Center for Research in Extreme Batteries (CREB) has awarded its first round of seed grants to teams of researchers from the University of Maryland (UMD), National Institute of Standards and Technology (NIST), and the Army Research Laboratory (ARL). The Research and Innovation Seed Grant program will fund an initial cohort of postdocs and graduate students that will collaborate on CREB research. The one-year awards will facilitate structured collaboration between UMD, NIST, and ARL and help to advance the institutions’ joint goals in battery research and innovation for extreme applications. -- In today’s society, new rechargeable battery technologies are urgently being developed to address the power and energy demands of the rapidly growing number of wireless devices, ranging from mobile communication to electric and hybrid vehicles. This project aims at advancing the understanding of rechargeable all-solid-states batteries operating at extreme temperatures (-60 to 100 degrees C) by imaging their performance and chemical composition with high spatial resolution. The batteries will be tested at variable temperatures while simultaneously imaging their nanoscale structural and chemical changes, never done before. This functional characterization, at small length scales, will reveal how temperature affects the performance of the energy storage devices in question. -- While Li ion batteries provide extremely high energy, they come with two problems; and the high energy of the battery causes the electrolyte molecules to decompose and the electrolyte is flammable. The only thing that prevents continual decomposition of the electrolyte is that the residue of that reaction coats the anode, preventing further decomposition of the electrolyte. However this solution is not perfect since fresh anode surfaces are created due to volume change as the battery is used, which require further decomposition of the electrolyte and a loss in battery capacity. This project proposes a new type of electrolyte that contains water; both reducing the flammability and eliminating electrolyte decomposition by establishing a coating that is completely reversible each time the battery is charged and discharged. Researchers will use neutrons to penetrate a working battery and examine how this layer forms, dissolves, and reforms as the battery is cycled, in conjunction with electrochemical characterization and modeling efforts. -- Neutron depth profiling (NDP) will be used as an advanced nondestructive characterization tool to track Li that will provide crucial information to help address the following three challenges high-performance solid-state Li-S cells with garnet electrolyte, which include: (1) Li metal and garnet electrolyte interface and its stability over cycling; (2) possible Li dendrite formation at high charge-discharge rate that cause ultimate cell failures; (3) Sulfur -garnet interface due to wetting and charge or ion depletion. -- This project aims to understand, design, and discover novel Li/Na borohydride-based materials as solid electrolytes and electrodes for rechargeable solid-state batteries. These Li/Na compounds have been shown to exhibit superionic conductivities and good electrochemical performance, providing materials alternatives and flexibility for designing next-generation solid-state batteries. To explore more thoroughly the technological potential of this new class of materials, this project integrates unique expertise, namely, first-principles computation at UMD and neutron facilities at NIST.